Spiders and roaches and flies, oh my! If bugs give you the heebie jeebies, you definitely don’t want them in your Loft. Not only can they be unsanitary, some pests can actually cause real damage. And then there are the insects that sting and bite, like wasps or scorpions. Obviously they’re not welcome! While it may feel like bug proofing your Loft is a battle you’ll never win, there are some things you can do to stem the flow. Here are our tips for keeping pests at bay. If spiders are a problem, you can seriously reduce their population by using a dehumidifier. Maintain a humidity level of 40 percent and regularly clean out the cobwebs from the ceiling and windows. In just a few weeks you’ll see a noticeable reduction in your eight-legged friends. There’s nothing worse than flipping on your kitchen lights at night and seeing roaches skitter under the cabinets. The best way to banish them forever is to starve them out. Be vigilant about cleaning up every crumb of food from floors, countertops and inside cabinets. You must also remove their access to water, so fix leaky faucets and keep pet water dishes elevated. 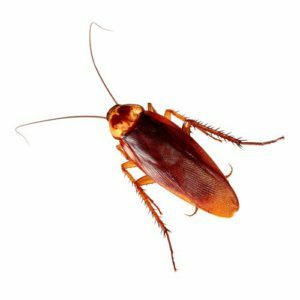 There are also a variety of roach killers on the market to help you tackle this particular problem. Gaps around doors and windows make it easy for tiny pests to enter your Loft. Install a threshold under each door to the outside and add weatherstripping around doorframes and windows. Make sure all windows have screens and patch any holes no matter how small they seem. The bonus? You’ll also save on energy costs. Check the exterior of your Loft for any gaps or cracks that insects and pests can climb through. This includes cracks in the foundation, holes in grates and missing shingles on the roof. Seal openings with wire mesh, sheet metal, mortar or even steel wool. Trash and recycling cans can be a huge magnet for pests of all kinds. Make sure your cans have tight fitting lids and clean them regularly. Remove debris from your yard and patios and get rid of standing water, which can be a breeding ground for mosquitos. Keep your gutters clean so then can work effectively. If you have a pool, make sure it stays clean and chlorinated. Regularly clean and refill birdbaths to keep mosquito eggs from hatching in them. Drains in sinks and showers can accumulate some pretty serious gunk, which is attractive to many pests and gives them the perfect place to breed. Regularly clean all sink and floor drains, especially in the basement or laundry room. By tackling the conditions that invite pests into your yard and Loft, you’ll be well on your way to reducing their populations and preventing a simple nuisance from becoming a real problem.